It's not his fault he's being subject to these whispers, but Jake Arrieta wants you to know he's not using performance-enhancing drugs. On the heels of his second no-hitter in his last 11 regular season starts, the Cubs ace admits he's hearing whispers that the reason for his overwhelming amount of success over the last two-plus seasons is because of steroids. Arrieta won last year's Cy Young and is on track to repeat this year with a strong April, but he thinks if you think he's using drugs to achieve this level of success, you just may be an idiot. Speaking with Bob Nightengale of USA Today, admits some of the things he hears are pretty funny and adds the caveat that some people are idiots. 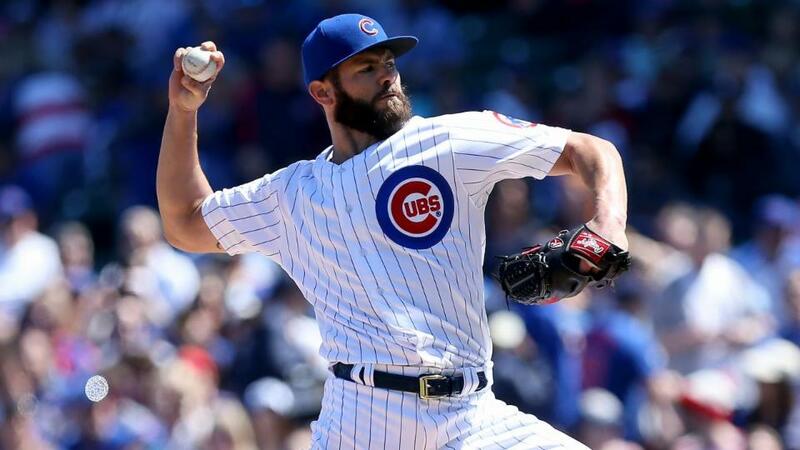 "I've heard players, and I'm talking about some of the best players in the league," Arrieta told USA TODAY Sports, "question whether I've taken steroids or not. Some of the things I hear are pretty funny, and some people are idiots, frankly. "I'll see on Twitter, 'My close source revealed to me he's on steroids.' Well, the 10 tests I take a year say otherwise. I eat plants. I eat lean meat. I work out. And I do things the right way. "If there are guys still on it, I hope they get caught. I care about the integrity of the game. I wouldn't want to disappoint my family, my friends, my fans. That's a huge motivating factor in doing it the right way. Arrieta makes a great point. If he was using PED's one of the 10 drug tests he takes each year would prove he is on something. MLB has made it a priority to clean up the game that turned dirty after the strike in the mid-90s and if you're dumb enough to take steroids now, you have no place in the game, but Arrieta is taking it in stride. The reigning Cy Young winner is even taking it as a compliment of sorts. "Hey, that's one of the best compliments you can give a guy," he says. "I appreciate the fact that you think I'm pretty good, but taking steroids, that's pushing it." A little hard work goes a long way, but I suppose many naysayers like to take the easy route and believe a player would take the easy route and cheat. How idiotic.